Can you believe this photo of Tar Heel Branch members and friends was taken after a four hour event concentrating on public policy issues? For more on what led up to this picture see wakewaa.wordpress.com and contact Nancy or waa-info@ncwu.org if you’d like to bring a similar event to your county. Brand new member Pat Orrange (crouching with arm around participant with the scarf). Pat joined as part of the October membership drive. Other branch members attending included Victoria Brown, Joyce Gad, and Joan Robertson. Ruth Relos who attended representing Partners Against Human Trafficking in NC, won the drawing for a free membership and has now joined the branch. It was a great event to connect with representatives of several sponsoring organizations. See wakewaa.wordpress.com for the full list. 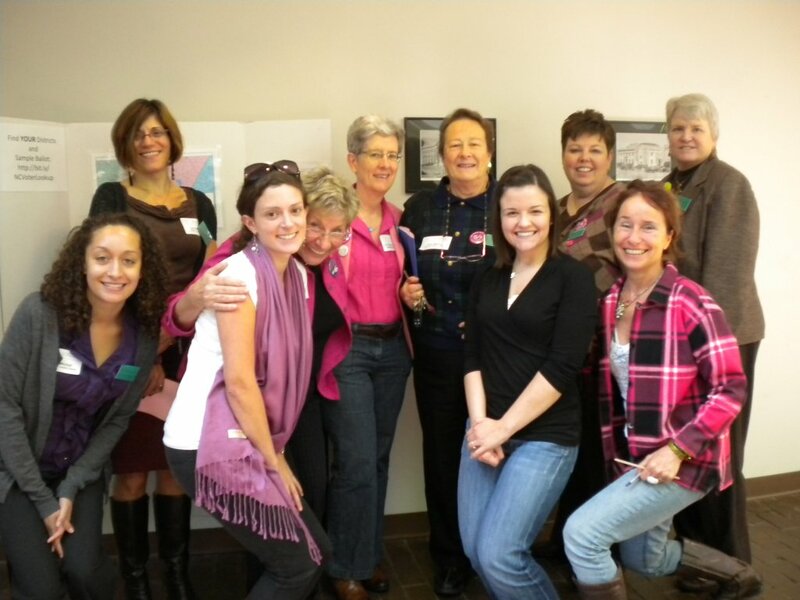 In particular, AAUW member Beth Dehghan (in the Raleigh/Wake County branch) was there representing WomenNC. This entry was posted in News and tagged pix, programs, public policy. Bookmark the permalink.